Over the last couple of months I've been spending some of my spare time on this project. 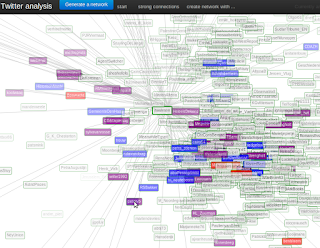 A web-based interface to twitter analysis. 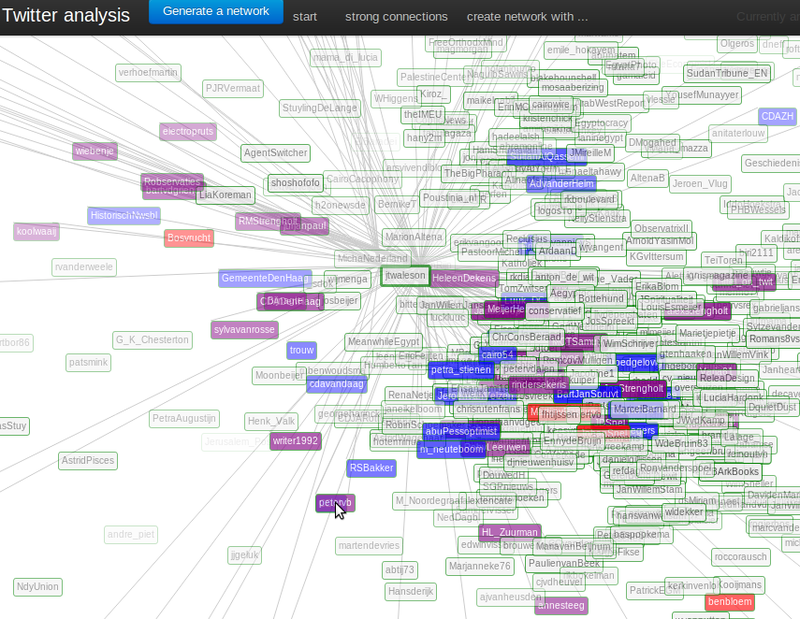 Let the user analyse the created network. In the image above I have selected the followers of some of my friends and I am currently checking my influence within their connections. Looks promising, when do you release? Within a week or two. I have some cool stuff that I want to throw in and I need to fix some caching/proxy issues.